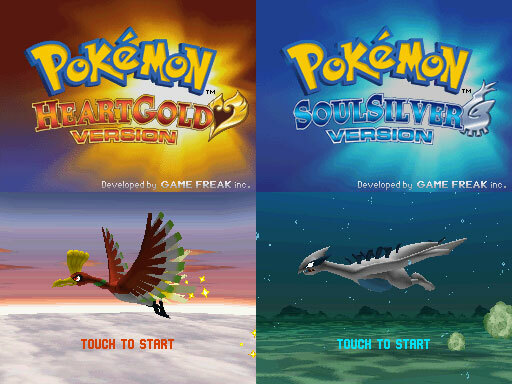 To follow on from the PokéPark Wii review, we have Pokémon Heart Gold and Soul Silver to review. These titles are a remake of Pokémon Gold and Silver, the original successors to Red and Blue released on Game Boy Colour back in 2000. This year Nintendo went back to this title, and gave it a significant upgrade for re-release this year. The first thing that’s noticeable about the game is it comes in a pretty big box for a DS game. That’s because it comes packaged with a new toy called the Pokéwalker. 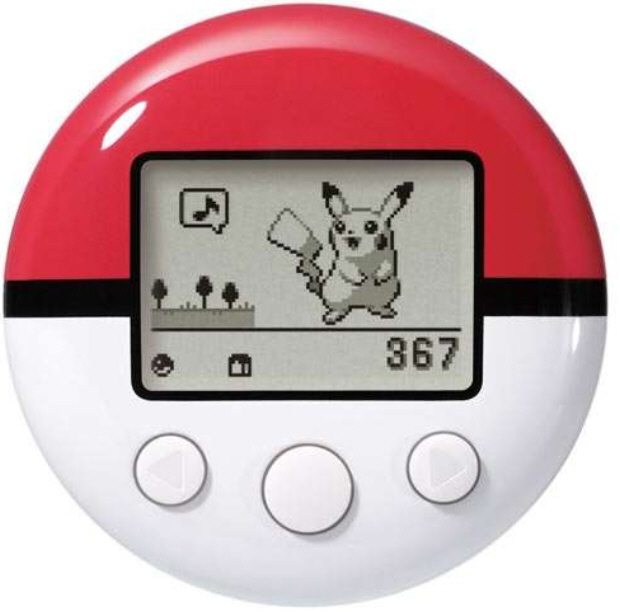 It’s a pedometer with infrared connection and LCD screen that allows you to transfer Pokémon on it (the cartridge has a small infared sensor too) and take them for a “walk”. The longer you walk the more watts you build up, which unlocks new routes and increases odds of encountering rarer items and Pokémon. You can catch Pokémon in a simplified battle mode, play a game of chance to get items and share items with other friends Pokéwalker’s. This doesn’t affect the game itself too much (items and Pokémon are instantly added to your bag and Pokémon storage box) but it’s a nice motivation to get walking. A number of routes include Pokémon that are harder to find in-game and a few with special moves too. In addition to the Pokéwalker, this remake also brings back the walking Pokémon feature last seen in Pokémon Yellow. Any Pokémon that is in the top slot of your team can walk around Johto with you and can interact with things (via turning and talking to it to see how it’s feeling about things). This paired with the Pokéwalker and little touches make the game feel a bit more immersive. 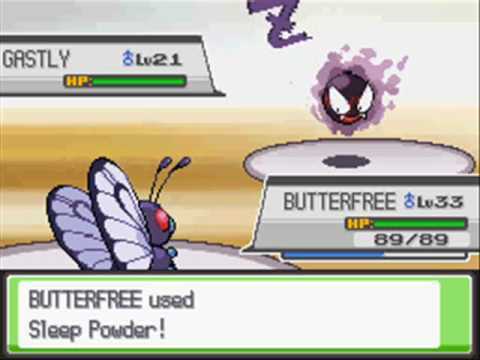 Instead of your Pokemon just being in battles you can interact a little with them (this will be included in the upcoming Black & White through use of an online hub). The game itself stays pretty true to the original release. 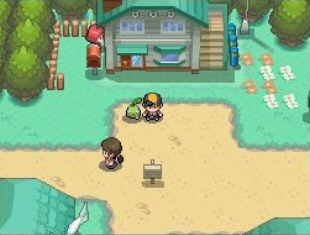 The story remains the same as you progress, but everything’s been given a large lick of paint and graphical upgrades, Johto looks even better this time around. 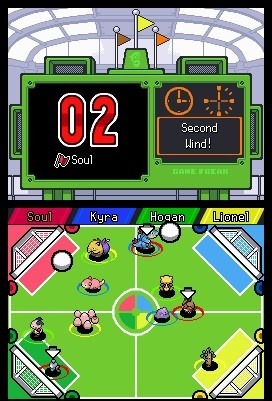 There are changes to the game as subtle as weather effects in certain sectors of the game and more major additions like the Pokéatholon, Where Pokémon take part in several Olympic-style mini-games. The slots have also been traded in for a new mini game called Voltorb Flip, a minesweeper like game were the longer you play and keep winning, the more tokens you get. The prizes on offer in both games are available by other means if you dislike the games, but they are fairly solid distractions. The contests from Diamond, Pearl and Platimum do not appear here, which may please some players (though the dress up element remains for taking pictures). The Suicune legendary storyline from Pokemon Crystal is integrated into both titles too. The only differences between the 2 versions is a slightly different storyline, different Pokédex entries and Pokémon. The battle mode is the same as it’s always been, with its turn based limited animation fighting. New animations are added to Pokémon encounters and some general tweaks are added to the system, but otherwise its business as usual. There’s generally a good mix of wild Pokémon to encounter in your travels and the level progression is pretty good, though the game suddenly makes it harder to level near the end of the Johto league. Once the Kanto region (where Red,Blue and Yellow took place) is unlocked, it’s a bit too true to its original form with wild Pokémon at lower levels, the only way to level up your league winning Pokemon is to battle trainers. It can turn the game into a rather large grinding session. If you can persevere with the harder levelling, there’s still plenty to explore. If you remember the original Gold and Silver and it was your favourite of the series, or you’re a big Pokémon fan, this title will help tide by the months till Black and White appears. This particular entry isn’t likely to win over those critical of the series, but some of the ideas tested here make for a slightly more personal experience and hint at some curious new approaches to the series with upcoming releases.